– Write a policy/guideline for how to update and maintain website, catalog, Facebook etc. – At peace with bugs, insects, and nature! If your application indicates a strong match between your skills and our needs, we arrange interviews with applicants in person and/or via skype. Interviews are conducted at least three months before arrival, so people can prepare well in advance. We aim at having two volunteers each three months. You will pay for your own accommodation in Kunming. The cost for accommodation inclusive electricity and water is 500 USD per month. Danyun will aim to rent an apartment within walking distance to the office, with a toilet-shower, a sitting-bed room and a cooking place. If we have two or more volunteers at the same time, we will expect them to share a flat with separate bedrooms and a shared living room, bathroom and kitchen. Costs of travel to any of the projects, including food and accommodation (i.e. shared accommodation at a guest house), that are scheduled as part of your work assignment will be paid by Danyun. Danyun can arrange for private Mandarin Chinese lessons at a cost of $15 USD per hour. English and Chinese are used in the office, and when we are at the projects, almost all communication is in Chinese. It is therefore up to you how much you want to learn while you are here. Your costs will include airfare to Kunming, accommodation, food, visa, vaccinations, travel for non-work/private purposes, language lessons and the like. A budget of $50 USD per week, if you are able to eat local Chinese food. 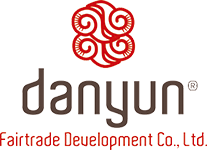 For further information and/or clarification you can contact us at info@danyunfairtrade.com.